One of my favorite things to do in the morning after I drop my husband off at work, is drive around parts of Rhode Island I have never seen. It's such a small state, so it's easy to explore new areas and towns with minimal traveling time! During the winter I always drove by "Twin Pine Farms" in deep Cranston and wondered what the heck it was about! Now that it's warm and beautiful out it's finally open for the season. I had fun walking around all of the colorful greenhouses...I wish we had our own home with a yard to plant these some of these beauties! Someday, dammit, someday! I bought a super colorful begonia plant to hang in my sunroom! I honestly wish I could have bought ALL of the flowers! P.S. The owner told me they will close for the season in mid June! Hurry hurry! This is one of my FAVORITE scenes ever, for SO many reasons! First of all, how cute is Vera Ellen?! Her skirt…someone should re-make that. And that little tap dance she does before she swings those doors open! The first time I saw that my heart was pounding…the rainbow of dresses and that GIANT bow is so jaw dropping and fantastic! Does anyone else agree?! I just got home from a week at home…yes I have two homes…sort of! I am originally from Corpus Christi, Texas but I have lived in Rhode Island almost ten years. I feel so torn all the time, I am not sure I will ever be able to give up my Texas ties. I am not sure where I want to be, and it's super hard for me to be so far away from my family. I often feel like I am losing time with them and missing out on important moments. That's why I try and visit home every couple of months. Texas, especially South Texas, is so colorful and inspires so much in my life! Here are some colorful snaps from my latest visit home! I'm OBSESSED with these nameplate earrings and necklaces…I've always wanted one of these huge ones or a pair of the earrings but they are actually super expensive, since they are made of real gold. Many of the buildings and business signs are painted! I love the colors and imagery! Shell World in Aransas Pass is one of my favorite places. The sign is actually from an old drive-in restaurant, and the owner painted her up to look like a mermaid! You can sort of tell...her tray of food has been painted over with a shell! I love this Bumblebee colored fence! Mexican candy packaging is my favorite. So colorful and bright! I took this picture outside of one of my favorite Paleterias! They are ice cream, fruit cup and snack bars! 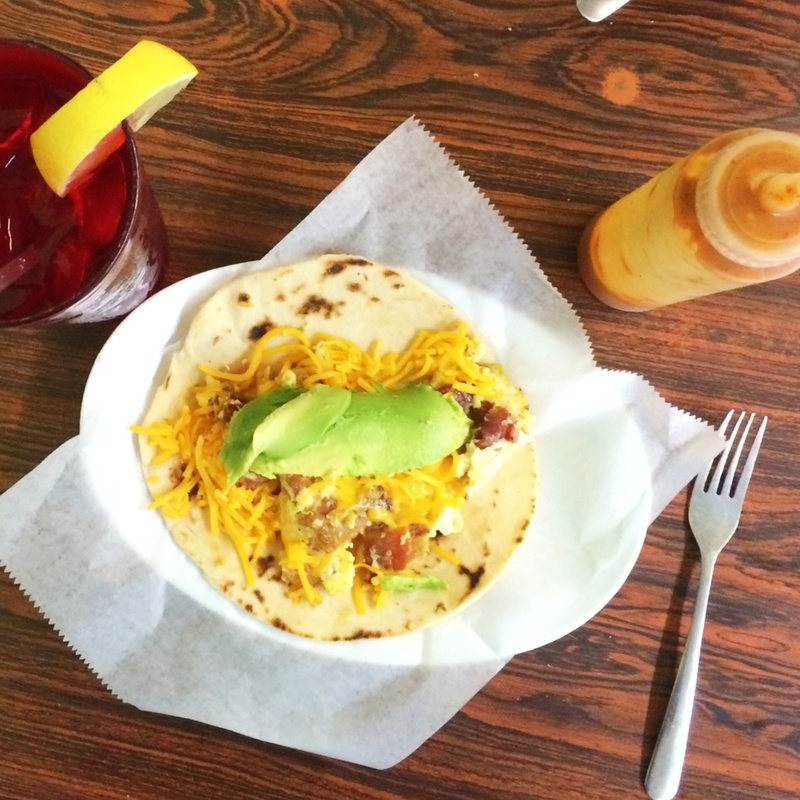 Breakfast tacos are a true Texas phenomenon…I rarely am able to find them anywhere else, and if I do they are just not as delicious! Simple idea, just a flour tortilla with eggs, cheese and different protein varieties! I love this watermelon striped wall!